Recently, there has been considerable interest in what is being referred to as ‘performance-based budgeting’. As I wasn’t clear on what that meant, it occurred to me that perhaps others weren’t as well. So I began to research it. 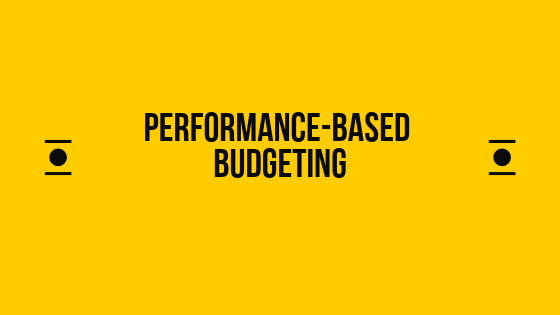 Generally, one can argue that performance-based budgeting seeks to link the funding provided to government agencies to the results they deliver to inform the budgeting process and increase the efficiency and effectiveness of public expenditures. But there is more than one model or method. According to the International Monetary Fund (IMF), the “basic” model of performance-based budgeting consists of integrating spending priorities and program performance into the expenditure management cycle. The key criteria are: 1) explicitly define the outcomes that services (outputs) aim to deliver, and 2) provide to key political decision makers during the budget preparation process key performance indicators to measure the effectiveness and efficiency of its services. The IMF considers the basic model appropriate for all countries. A more advanced version is program-based budgeting: that is, departments present and justify their budgets with supporting performance information to the legislature and the public as part of the budget documentation. Program-based budgeting typically requires some form of legal appropriation (e.g., Parliament). Given the requirements to have robust performance information, the IMF advises caution in implementing the advanced model. The fundamental difference between the basic and advanced models is that in the former, performance information is used to inform budget decisions, whereas in the advanced model, the information is used to determine budgets. The working definition used by the Treasury Board Secretariat (TBS) is in keeping with the IMF. Cultural and management philosophies play a significant role in the design and implementation of performance-based budgeting systems. Different countries are affected by various factors, including governance, structural, and ideological differences. The various approaches all seek to bring together systems thinking and the interplay between financial and non-financial information (e.g., physical, quality, process, environmental, and social), ideally to provide a comprehensive view of the drivers of performance. The U.S. Governance Performance and Results Act (1993/Revised 2010) enshrined the linking of budgets to performance information and requires –four-year Strategic Plans and annual Performance Reports for review by Congress similar to the Canadian Main Estimates system. The plans have strategic objectives supported by a collection of programs similar to Departmental Plans in the Canadian system. In 2016, the U.S. government went a step further and passed the Program Management Improvement Accountability Act with regulations subsequently published in June 2018. This Actaims to improve program management practices with government-wide standards and policies under the Office of Management and Budget (OMB). The Actalso established a government-wide Program Management Policy Council. 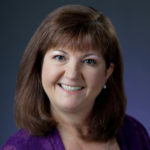 Comprised of officials from the twenty-four major federal agencies, each representative serves as the Program Management Improvement Officer (PMIO) of their agency and reports to their agency’s Chief Operation Officer or equivalent. Senior agency managers meet at least quarterly to examine progress on targeted agency goals of the department and meet annually on progress on strategic objectives for the department. Executive performance appraisal plans are linked to organizational goals and outcomes, and provide consequences based on performance. Federal departments must demonstrate the use of evaluations to direct program improvements, and they are used consistently to justify funding requests, management actions, and legislative proposals. Consideration is also being given to establishing a national data strategy and the creation of Chief Data Officers. The United Kingdom launched its Financial Management Reform (FMR) initiative in 2014. Data collection processes have been developed and streamlined in order to improve quality, availability, comparability, and usefulness for decision making. In late 2015, a joint Treasury and Cabinet Office team was set up to review and rationalize management information across government. Activities have included short “data sprints,” looking at data around complex issues, and the joining up of systems to reduce duplication and support data-driven decision making. Formal and informal networks have improved cross-governmental collaboration, with departmental teams sharing ideas, themes, and best practices. The FMR is underpinned by a focus on people, developing capacity, and capability while addressing the recurring issue of staff retention. In 2005, the OECD undertook a survey on performance information of its member countries, including Canada. The survey found that while there was an increasing interest in the use of performance information, questions remain about the real extent of change and whether performance information is truly used in budgetary decision making. The majority of countries engage in performance-informed budgeting at the Ministry of Finance level (that is, performance information is most often used along with other information to inform, but not to determine, budget allocations) and that the main reason for not using performance information is the lack of a method to integrate it into the budget process. So where does Canada stand? A survey undertaken by Raili Pollanen  revealed that Canadian public institutions appear to be generally well-positioned. However, at least 50 per cent of the participants reported moderate or great extent of difficulties in measuring performance or using performance information. Yet less than one third of public organizations surveyed provide training for setting program performance goals, developing performance measures, and linking the performance of programs/operations/projects to strategic outcomes. Performance measurement is primarily done at lower/operational levels of management where strategic planning does not occur. Finally, the survey found that senior management could benefit by greater engagement of middle/low level managers in strategic planning and priority setting. The survey did not address performance-based budgeting, but at the federal level, the TB Policy on Results, the Management Accountability Framework (MAF) and, to a lesser extent, the Main Estimates collectively support performance-informed budgeting. However, there is still a need for robust processes to develop and use the information for forward-looking budget planning and resource allocation. This will require a culture shift and sustained leadership. Canada is not alone. Most countries in the OECD survey identified the attribution of outcomes to specific programs and designing performance measures for specific activities as the key challenges. Leadership and lack of knowledge and expertise were also cited as common challenges. Leadership: Strong and sustained leadership is required if performance information is to play an effective role in how budgeting and service delivery is managed. Management must facilitate and encourage the change. Old mindsets associated with the siloed approach of internal controls and financial reporting and risk management can’t completely disappear, but new mindsets focused on collaboration, innovation, integration, and creativity are needed. At the beginning, a committed senior leader needs to send the signal that the change is important. But as reforms mature, ownership needs to broaden to a wider group. Understand what business you are in: The type of program or service needs to be well understood as do the supporting business processes and resources, The performance-information needs will vary depending on the service models; for example, some require detailed information on the unit costs of specific services, whereas others require “whole of program” costing. Grants and Contributions programs may reasonably be expected to assess societal outcomes, whereas a service such as Passport Canada would necessarily focus more on efficiency (e.g., turnaround times). Clarity around the purpose of measuring performance helps garner wider support for and engagement with change. Shared analysis and reassessment of problems and challenges is also crucial. Finally, understanding the resource and operational constraints to achieving results is an important part of performance-informed or performance-based budgeting. Learning, culture and mindset: Using performance information to inform budget decisions requires a fundamental transformation in organisational behaviour in a number of ways. First, a results-based approach means examining performance from a “customer” perspective. Second, the traditional “rear-view mirror” approach to using information solely for reporting after the fact is not enough. Focusing on results means being able to use costing and performance in a forward-looking manner to allow for course corrections and to influence outcomes. Thirdly, the operating culture needs to emphasize learning and provide incentives for testing new approaches. Finally, longer term success also depends upon the reforms moving out of central finance and corporate functions to connect with wider leadership in programs and supporting operations. Data collection models and technology: Develop greater facility with all of an organization’s data and create integrated business processes that go beyond the traditional financial budgeting model and link non-financial and financial information. Such models allow the monetary impacts of strategies, operational tactics – including resource capacities and allocations – and decisions to be analyzed looking forward and adjusted in real time. Build awareness and understanding of enabling technologies and digital tools. Turning data into insights: Build capacity on the core aspects of performance-based budgeting using standardized training and toolkits to ensure common understanding across government. Public servants in the future will require a broader range of knowledge, skills and experience to improve business partnering and become more hands on with the operational resources and processes. The future will place an increasing premium on diverse experience, interpersonal and leadership skills, as well as technology, analytical, and data skills. 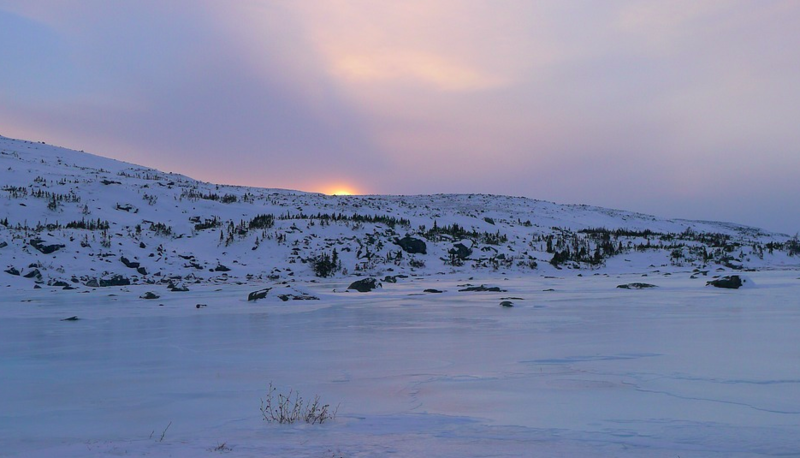 At the federal level, Canada has established a solid foundation for performance-informed budgeting to improve resource allocation decisions, improve efficiencies, and report on results to Canadians. Moving forward, building a results-based culture – including performance informed budgeting – will mean a strong focus on building capacity and expertise and standardized tools to ensure common approaches and business processes that can effectively integrate financial and non-financial information. Consideration could be given to developing a playbook to equip departments based on international best practices. It will also require sustained leadership and assurances that departments are not penalized for missing performance targets, which is the hallmark of performance-based budgeting. 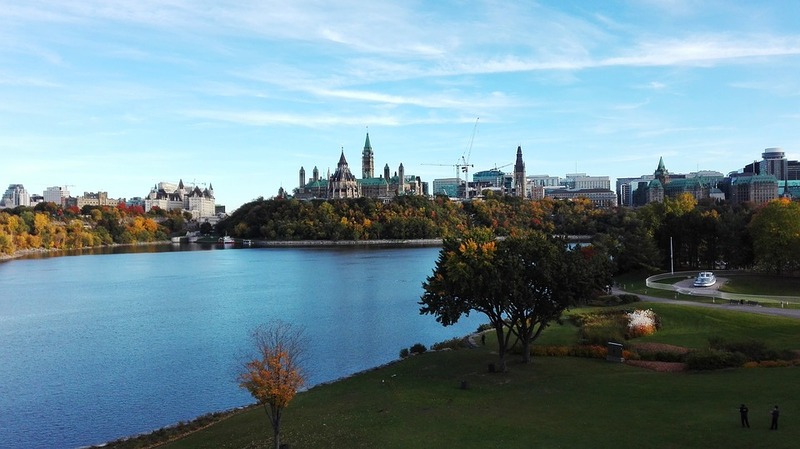 The Canadian Government may also want to consider the U.S. model of establishing government-wide standards and tools to ensure consistency and a government-wide council on program management as a forum to review issues and share best practices. Marc Robinson et al., “A Basic Model of Performance-Based Budgeting”, International Monetary Fund, 2009. R. Pollanen, “Linking Strategic Planning and Performance in Canadian Public Organizations: Does it Improve Performance?”, FMI Journal, March 2016. Participants were municipal, provincial and federal organizations.